Contemporary digital games do little to help novice and disadvantaged players wanting to learn to play. The novice-expert divide is a significant barrier for entry for disadvantaged groups who want to play digital games; this is especially true for women (Jenson, Fisher, & De Castell, 2011). In response to this problem, three new tutorial modalities and strategies for World of Warcraft (WoW) were designed in an attempt to improve the existing tutorials. These new tutorials offered different modalities of instruction, as well as instructional strategies in assisting players. 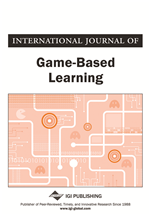 Results suggest that players react favourably to a faded or “just-in-time” instructional strategy, showing significantly increased motivation for play, engagement, and play mastery. Implications for game design, and specifically game tutorial design, are discussed. Problematically, many digital games rely on a tutorial system that makes no experience considerations of the player, and relies on a 'flashcard tips pop-up instructional strategy'. “Good tutorials are essential for new gamers” (Hayes, 2005, p. 27), however, game developers have recently begun to leave them out of many titles, such as Star Ocean: The Last Hope. Some of this may stem from the recent trend of releasing very similar games, or sequels (White, 2009), assuming that the consumers have already played all of the other games in the series or genre. This relates to the body of experience (Kirschner et al., 2006) gamers have built around particular genres; often it is enough to refer to “role-playing game (RPG)”, “shooter”, or other genre convention in order to recall the relevant skills, expertise, and strategies long-term gamers have built over years of experience. Players are often expected to fully 'experiment' with the controls in order to figure out how to manipulate their players. This form of absolute discovery learning can cause difficulty for beginning learners (Sweller, Kirschner, & Clark, 2007). Tutorials leave out foundational material such as camera controls, movement controls, basic RPG menu navigation, and other basic skills necessary to play the game; this is based in the assumption that the players would not want to be burdened with this kind of basic information. The interface's programming does not seem to respond or provide feedback when players are having trouble with these basic concepts. Numerous games employ absolute discovery learning in their approach to 'educating' novice players. In Bayonetta (2010), players are quite literally 'dropped' into a fighting situation with no instructions regarding the control or movement of their player character.